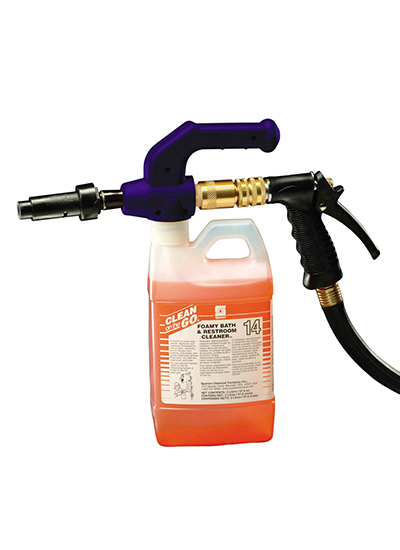 The Clean on the Go Foam gun is an easy to use, portable foam gun with a "fresh rinse" feature for use with the Clean on the Go chemical management system. The unit automatically dilutes at 2 oz. per gallon due to the pre-installed metering tip.